Van Dyke's attorney said the trial should never have taken place in Cook County, where the shooting of Laquan McDonald ignited protests. 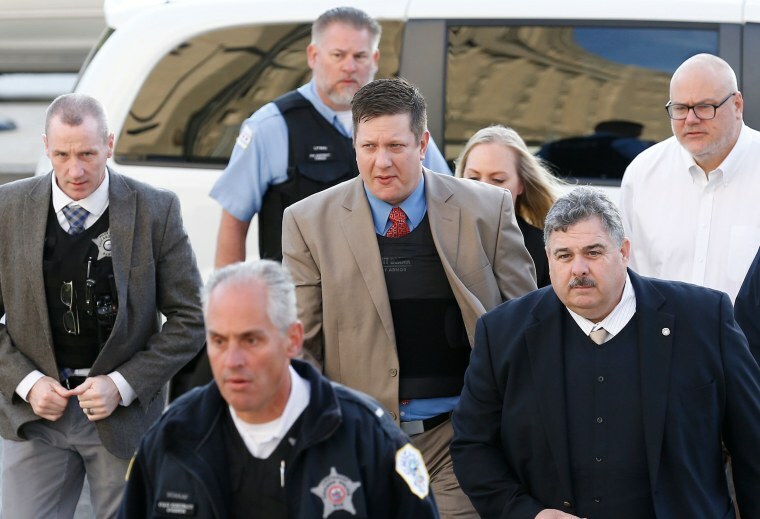 CHICAGO — Former Chicago police officer Jason Van Dyke returned to court Wednesday for the first time since a jury convicted him in the 2014 shooting death of black teenager Laquan McDonald, as his attorneys launched their effort to persuade a judge toss the verdict. Van Dyke's attorney, Dan Herbert, announced that he had filed requests for a new trial or an acquittal, and Judge Vincent Gaughan scheduled oral arguments for Dec. 14. He said news stories "cemented a narrative of guilt in the public consciousness." He also pointed to negative comments on social media in which Van Dyke, who is white, was described as a "racist murderer" and someone who "looks like the devil." Herbert also reiterated his contention that Van Dyke had a right to use deadly force when confronted with a suspect who was armed with a knife and resisting arrest. The jury, however, rejected that argument when it convicted Van Dyke of one count of second-degree murder along with 16 counts of aggravated battery with a firearm. Gaughan did not set a date for sentencing. Legal experts differ on whether the judge can order him to serve sentences for each count concurrently or must order then served consecutively. It could be the difference between a sentence of six years or several decades.